Recently the Parish Council held a series of open events for residents to demonstrate the Neighbourhood Planning process and gathered feedback from the community as to whether the development of a Plan was a good idea. The presentation boards can be viewed here NHP Presentation. From these events, there was an overwhelming support from the community to develop a Plan, thereby giving the community the say and gravitas in any future development plans. 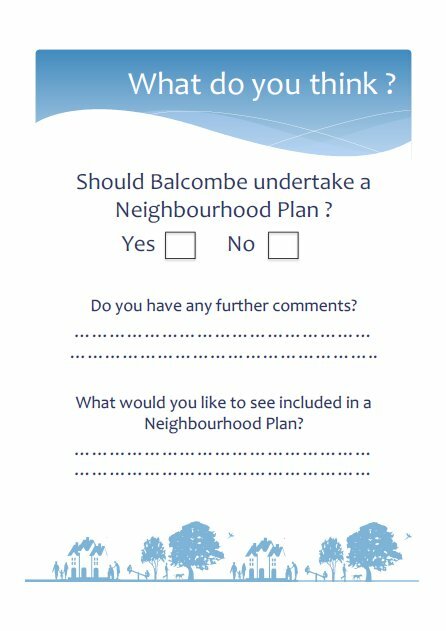 The form that the community was asked to complete is shown below.